TRx Rip Trainer course added to the calendar! We are hosting a TRX Rip Trainer Foundations course on December 18th, 2016 from 9am-5pm. Plie for Pink raised over $3,600 for Shades of Pink! 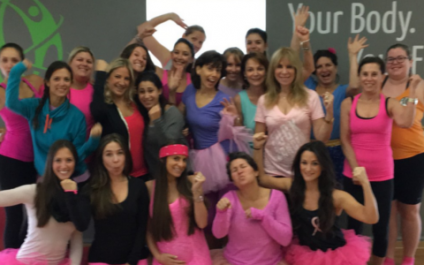 Our Xtend Barre class on Saturday, October 24th, was packed with strong women supporting the Shades of Pink Foundation and promoting self-exams for women of all ages! This Plie for Pink group brought lots of energy, smiles and generous donations. Collectively, with the match of owner, Nancy Hodari, we raised over $3,600! In a message to the clients before the class, Nancy expressed why she picked Shades of Pink as the recipient for these contributions. Plie for Pink with us October 24th! Plie for Pink! Please join us for this very special class supporting the prevention and early detection of Breast Cancer in young women. Xtend Barre and Pilates instructor, Jessie Hodari, will be teaching this class in honor of a very dear friend of hers and hopes that other #Aliwarriors will join her. 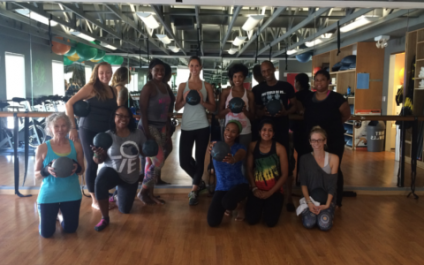 Danialle Karmanos’ WORK IT OUT volunteers come to EQ to WORK IT OUT! Equilibrium believes in the mission of Danialle Karmanos' Work It Out..."to promote optimum health in mind, body and spirit through a comprehensive yoga-based approach that reduces anxiety, prevents childhood obesity and increases self-esteem. 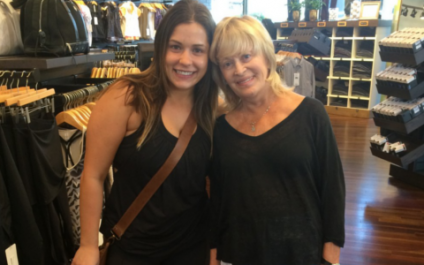 Donation class for ALS of Michigan with Mari & Sam at Lululemon! Thank you to all who attended our donation class on Sunday at Lululemon Old Woodward in Birmingham! A very special thanks to Mari Winsor of Winsor Pilates & Sam Arin from Center for Yoga, for leading us through an inspiring, challenging, rejuvenating 90-minute pilates & yoga class! We were able to raise $425 for ALS of Michigan and hope to continue to raise more this week! Look for more opportunities to join us in community classes soon. Postural Analysis…this is why STOTT Pilates is the “Ivy League” of pilates education! Techniques and training tools like Postural Analysis are exactly why STOTT PILATES is the "Ivy League" of pilates education! STOTT teachers are trained to observe and work with different body types and the exercises are anatomically based. Are you a trainee or instructor that would like some review? Take a Postural Analysis Review workshop with Amy Slowik on Saturday, July 18th, from 1pm-4pm. Congratulations to our March MATness winners! Here at Equilibrium we love competitions that motivate our clients to work hard while creating bonds within our community! This year's March MATness was an exciting way to get many clients involved in the spirit of fun competition this March. While there were many strong competitors throughout the month, one team pulled ahead and was crowned the winner! D-RAMS all received a free reformer class, while the top performing member Ron received $100 equibucks and a lucky draw gave Dani a free private! We can't wait for our next challenge to start…in the meantime make sure you SPRING into ACTION with us as the warmer months are quickly approaching! Your Body. Your Future. Do Pilates. It Works. Enter our March Matness by signing up for a bracket and earn points everytime you workout. Pilates Classes earn double points! Winners earn money, privates, and reformer classes. Need STOTT or ACE CECs before the end of the year? We are offering two workshops THIS Saturday with Eva Powers. Each workshop costs $125 and earns 2 CECs toward STOTT, ACE and more if requested. Sign ups available online or by calling the studio at 248.723.6500. Exercise and physical activity are vital for children and teens. Equilibrium offers a group class for 9-15 year olds where they can not only get an hour of fitness each week but they also learn proper form, strengthen their postural muscles and bond with others their age.